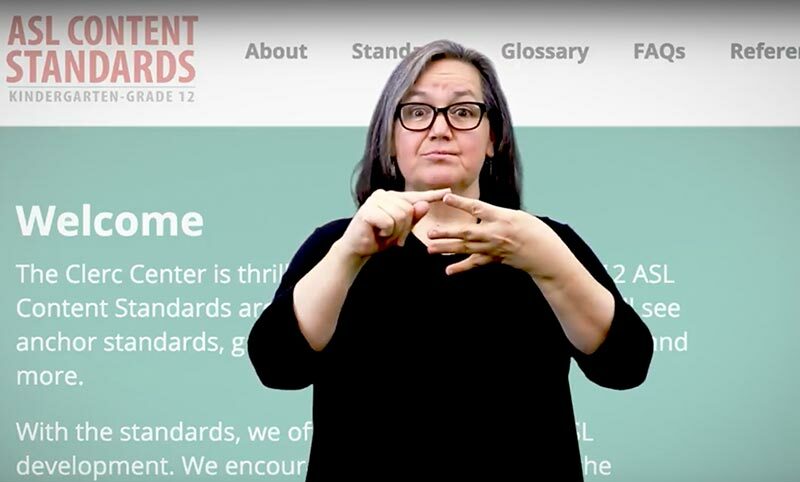 Welcome to the K-12 ASL Content Standards. 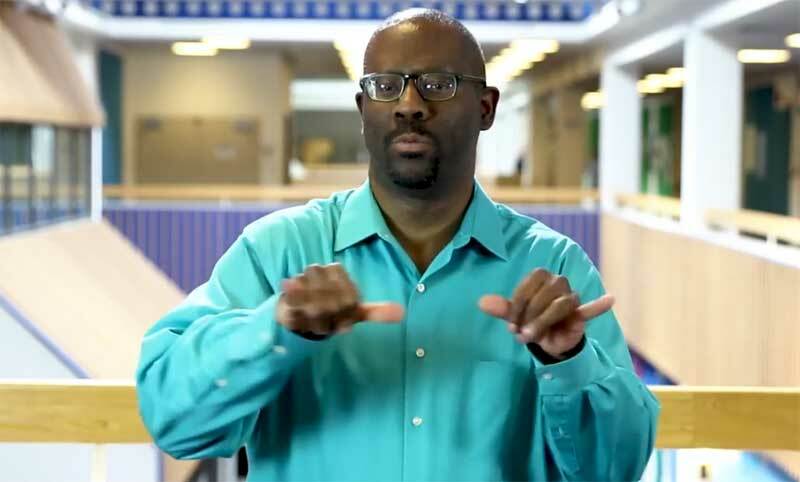 This website is designed to help teachers plan for ASL instruction for deaf and hard of hearing students nationwide. 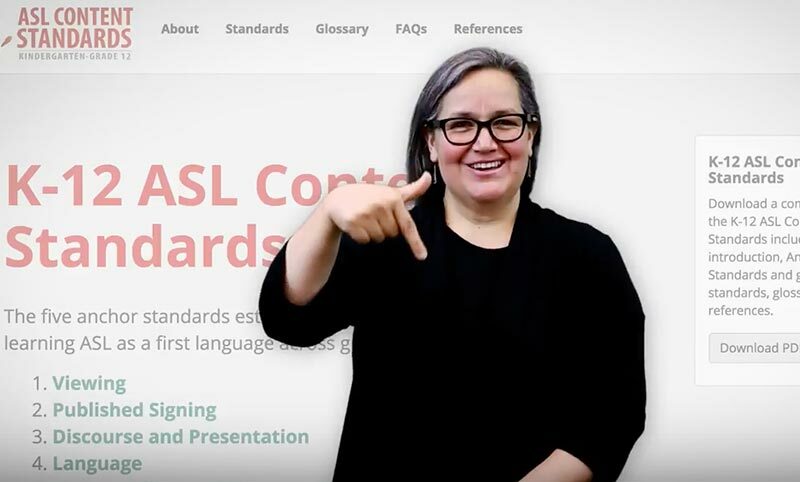 The K-12 ASL Content Standards comprises: the introduction, the Anchor Standards and grade-level standards, the glossary, and the references. The Anchor Standards set the foundation for the Standards and describe the general expectations of students learning ASL as a first language across grades K-12. The Anchor Standards are separated into five sections: Viewing, Published Signing, Discourse and Presentation, Language,and Fingerspelling and Fingerreading. The K-12 ASL Content Standards web page has different topic sections. The navigation bar at the top shows five different sections.